This is going to be a big one. This weekend 14th-16th I'll be in Leeds for Thought Bubble Festival. 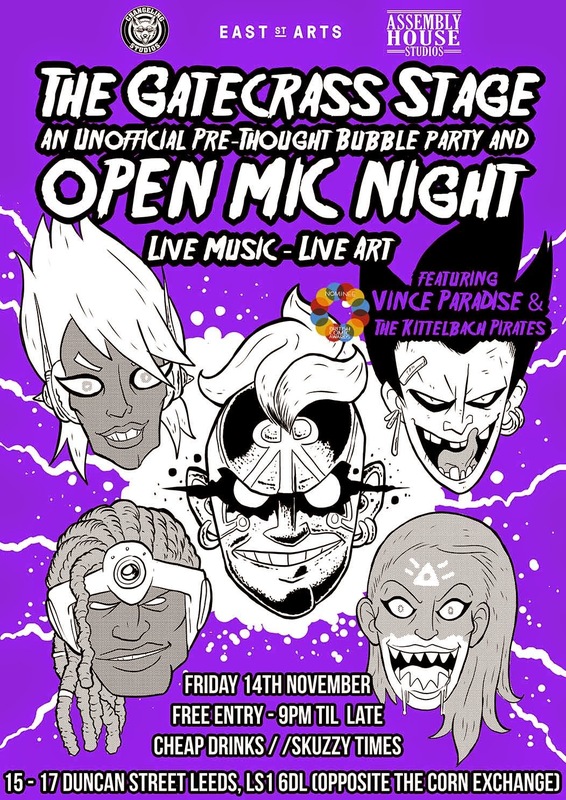 Vince Paradise & The Kittelbach Pirates are playing a gig Friday night as part of this mad bash thrown by Assembly House and East Street Arts. It's been dubbed The Official Unofficial Thought Bubble Party by Richard Bruton. The madness starts at 9pm, and is open to everyone, for free. 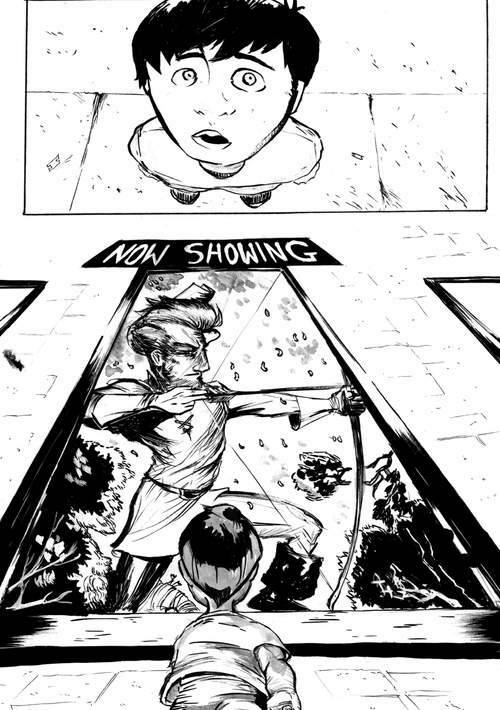 If you're a comic artist you can live-draw, if you're a musician you can play. I'm very much looking forward to it. I'll be manning the Titan Comics tables # 13-16 of the New Dock Hall all weekend. Come by to check out some great new collections we've published this year. Very much looking forward to signings with Ordinary team Rob Williams & D'Israeli, Doctor Who The Twelfth Doctor team Robbie Morrison & Dave Taylor, and British Comic Award nominated The Absence signing with Martin Stiff! 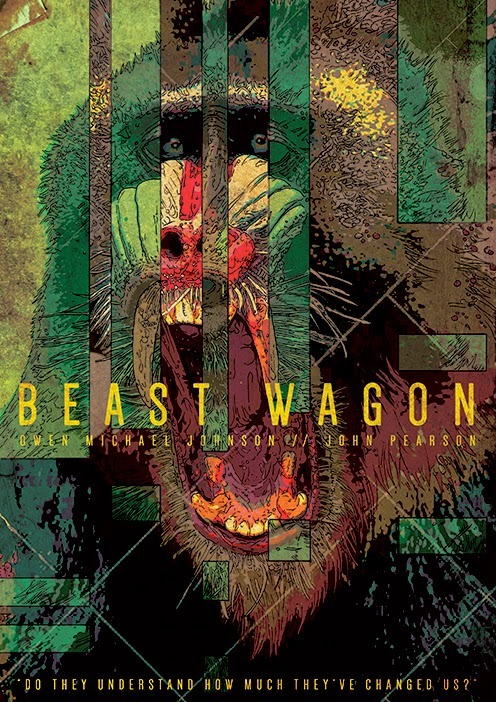 12:00-13:00 I'll be signing debuting BEAST WAGON preview copies with John Pearson 12-1 table #193 of the New Dock Hall. 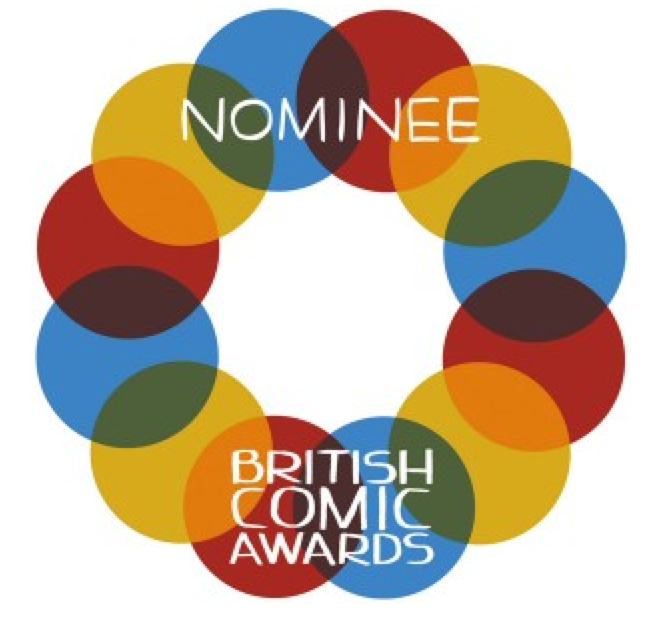 Raygun Roads is nominated the 'Best Comic' category at the British Comic Awards. I'll be heading along for the ceremony at 6pm (along with everyone I know). This is a real treat, to be included amongst such impressive and quality titles. Very much looking forward to the event! See you all in Leeds!! Very proud to announce this! 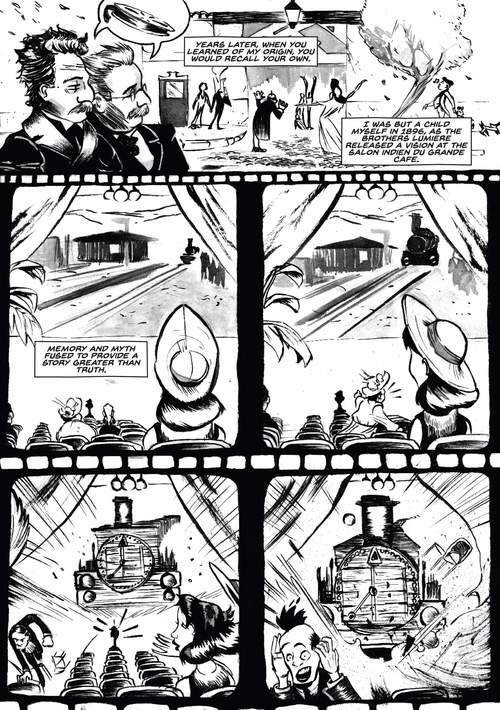 Preview of anthropomorphic comic book set in a Safari park includes 6-page preview and fold-out map. Released under Johnson's Changeling Studios imprint, the preview will be lettered by Colin Bell (Dungeon Fun) and available at Thought Bubble Sequential Arts Festival, which is held in Leeds this November. Multiversity Comics broke the story. More on BEAST WAGON soon. 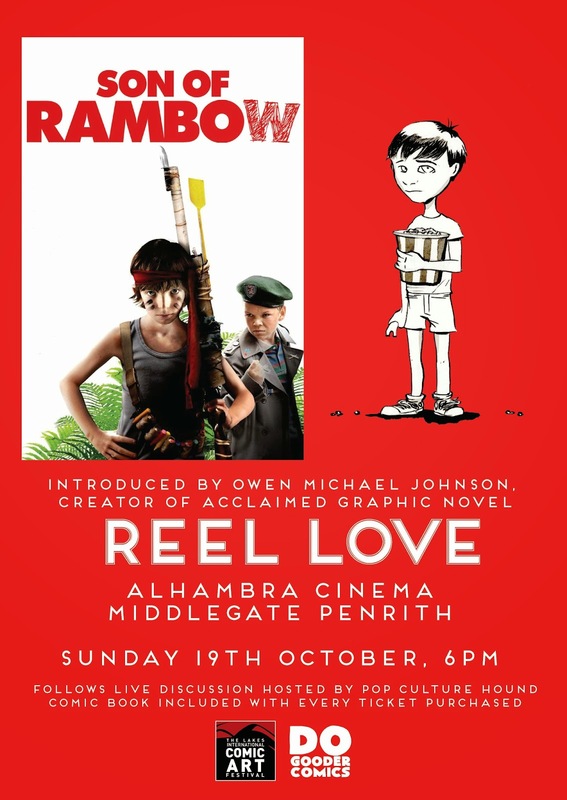 On Sunday October 19th, I will be introducing a very special screening of the cult British film, Son of Rambow, at an event held at The Alhambra Cinema in Penrith, Cumbria. Hosted by Chris Thompson of Pop Culture Hound fame, the event is supported by The Lakes International Comic Art Festival (more on which later), and involves a live discussion with myself about films, comics and the process of creating a comic about films. I'd also like to ask everyone about the first time they went to the movies. I will then sign and sketch books for anyone who would like such a thing to happen to their books, and then we all get to watch a great film. Each ticket purchased includes a copy of Reel Love Act One. The Alhambra is the cinema I grew up with. It has a lot of history, and a very special place in my heart. I'm very much looking forward to returning to celebrate the comic book that was inspired by my visits. Matthew, Alan and the whole staff always go above and beyond for their events (not long ago they screened Backdraft to raise money for the local fire service). I'm very much hoping people from my home town turn up, regardless of whether they are comic fans or not. Everyone is welcome! The event at the Alhambra will be a great way to close out the Lakes International Comic Art Festival in Kendal that weekend. 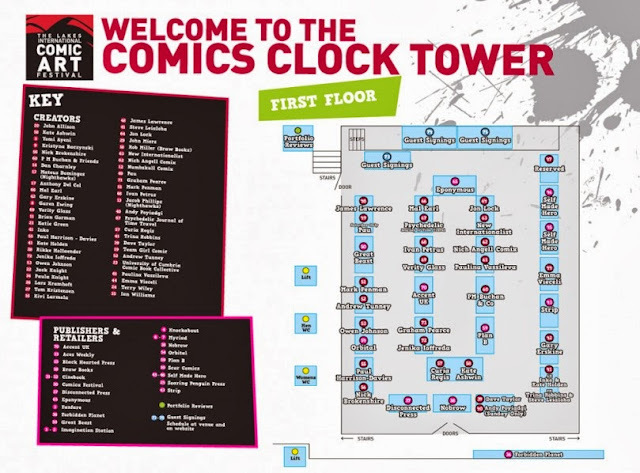 I'll be signing Reel Love in the Kendal Waterstones between 2:30-4pm on Saturday 18th October as well as appearing in The Comics Clocktower all weekend. Do drop by if you're checking out the festival. It already promises to be bigger and better than last year. This guy published my book. Which was nice of him. 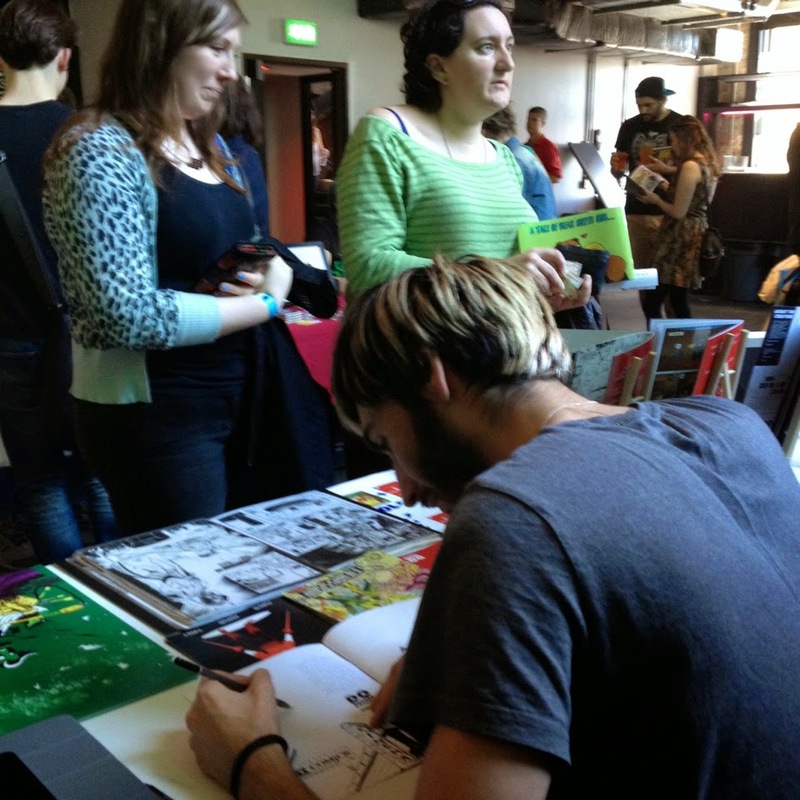 The Dogooder Comics table seemed to be kicking all weekend, with Colin Bell & Neil Slorance on one side and Guillermo Ortego on the other. We sold comics and ate mama Johnson's famous mac and cheese. I sketched in the books of lovely people who bought them. 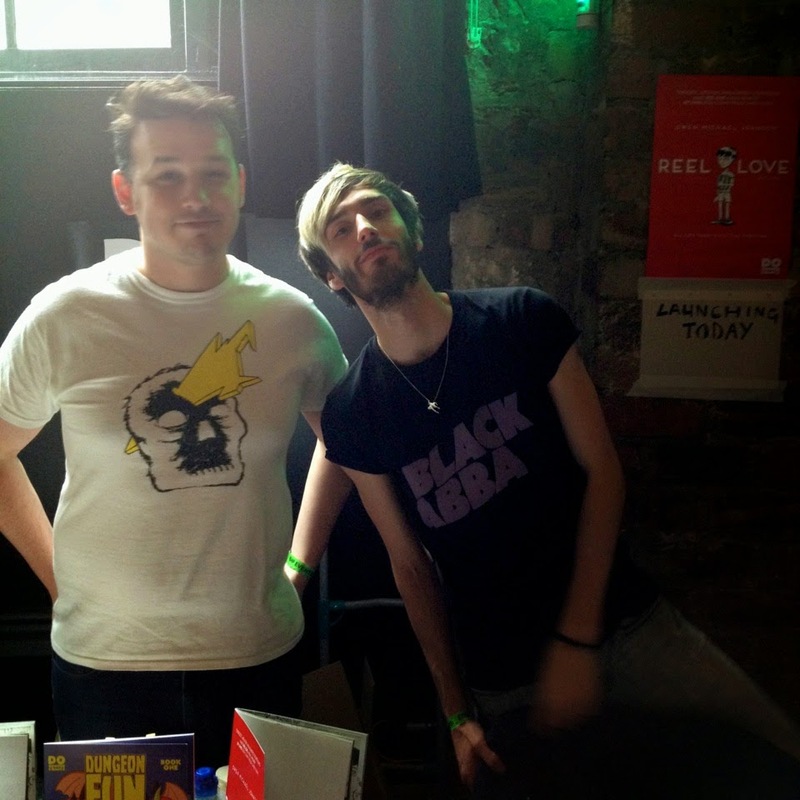 Then the Scottish Independent Comic Book Awards, at which Dungeon Fun swept up. Cue celebration drinks. So overwhelmed by the support for my solo debut. 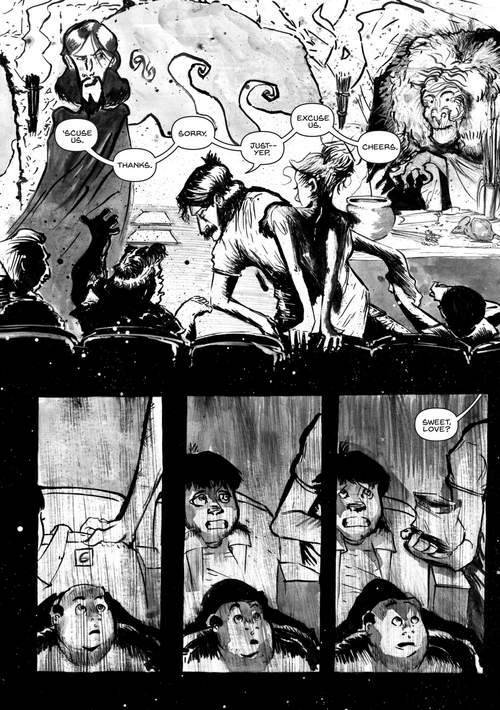 It seems to really pull an emotional reaction from people, with many reviewers and readers remembering their own first experiences of going to the movies. It's fascinating and elating to hear them all. 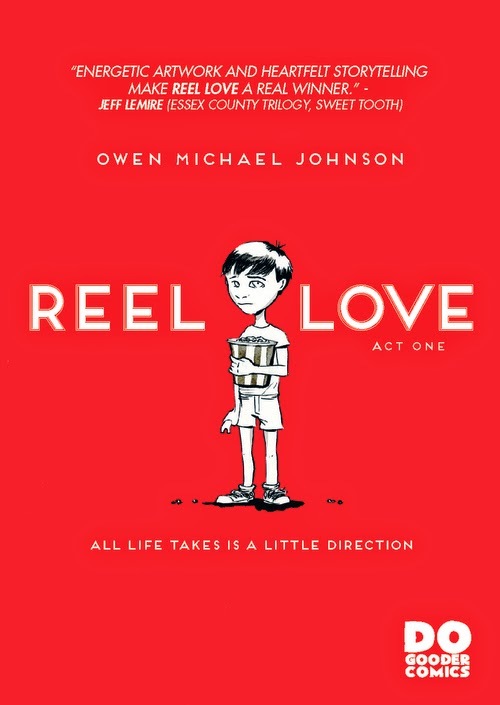 Here's where you can currently buy Reel Love Act One. More stores are planned but I have a few crushing deadlines so stay tuned. Alternatively, if you want to get the comic from me in person I'll be repping Changeling Studios at The Lakes International Comic Art Festival and Thought Bubble , with a signing on the Dogooder Comics table planned for Reel Love. I should probably make issue 2 now, right? Ever feel your life is a film? Following a visit with his Father, a young boy forms a relationship with the local cinema. Obsessed with the silver screen, and convinced it is his destiny to become a director, he ropes a street-smart classmate into producing their first motion picture over the course of one fateful summer. 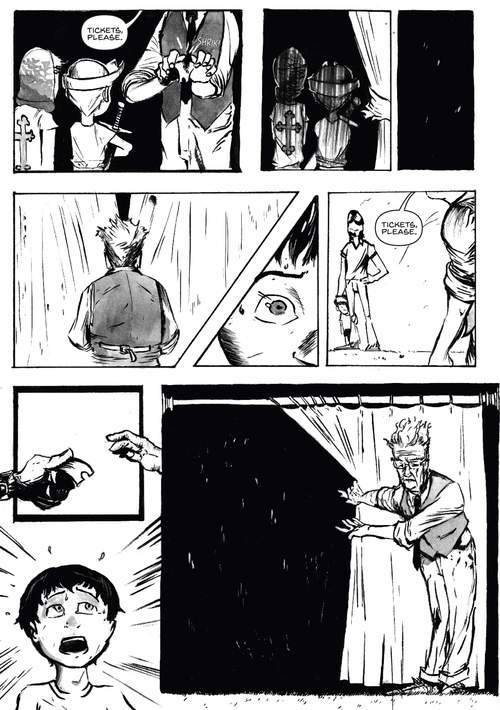 From Owen Michael Johnson – the creator of indie hit Raygun Roads – Reel Love is a bittersweet fantasy of imagination and memory, in the vein ofDaytripper, Cinema Paradiso, and Jeff Lemire’s Essex County Trilogy. 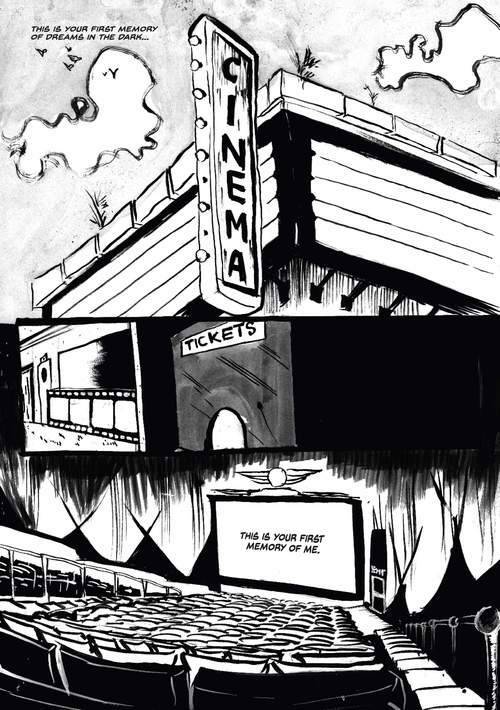 Reel Love Act One is 44 black and white pages of cine-fantastical magic, and will debut at this year’s Glasgow Comic Con on the 5th and 6th of July before going on general release in digital and print via the Dogooder Comics webstore and fine comics retailers across the UK. And here's some early reviews! This is my debut as writer/artist. I am indescribably proud and would very much like you to buy it. 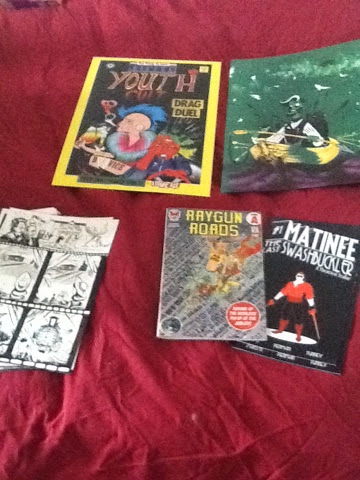 I'll also have some extra bits and pieces available to purchase at Glasgow, including the only remaining copies of Raygun Roads 2nd printing, Matinee ashcan, A3 prints previously only available at the CULT exhibition, and original art pages for Reel Love itself. 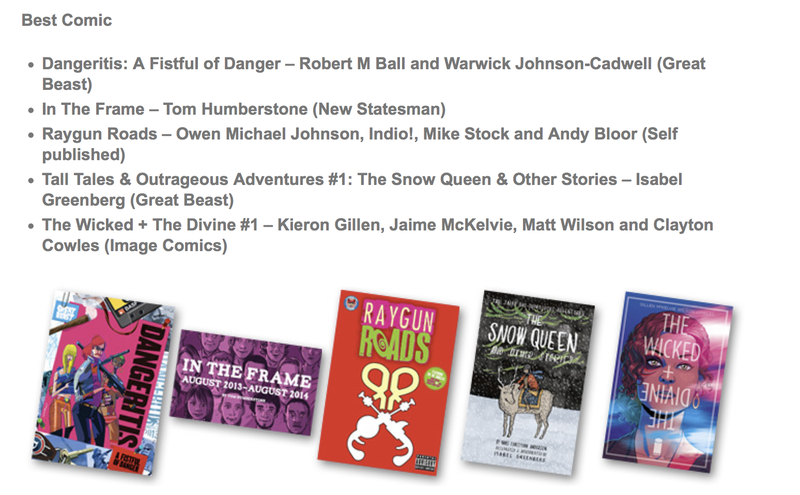 I'll be guesting at the Dogooder table 59 for the duration of the show, wedged between friends Guillermo Ortego & Neil Slorance, who's fantastic all-ages collaboration with Colin Bell, Dungeon Fun, gets it's issue 2 debut. 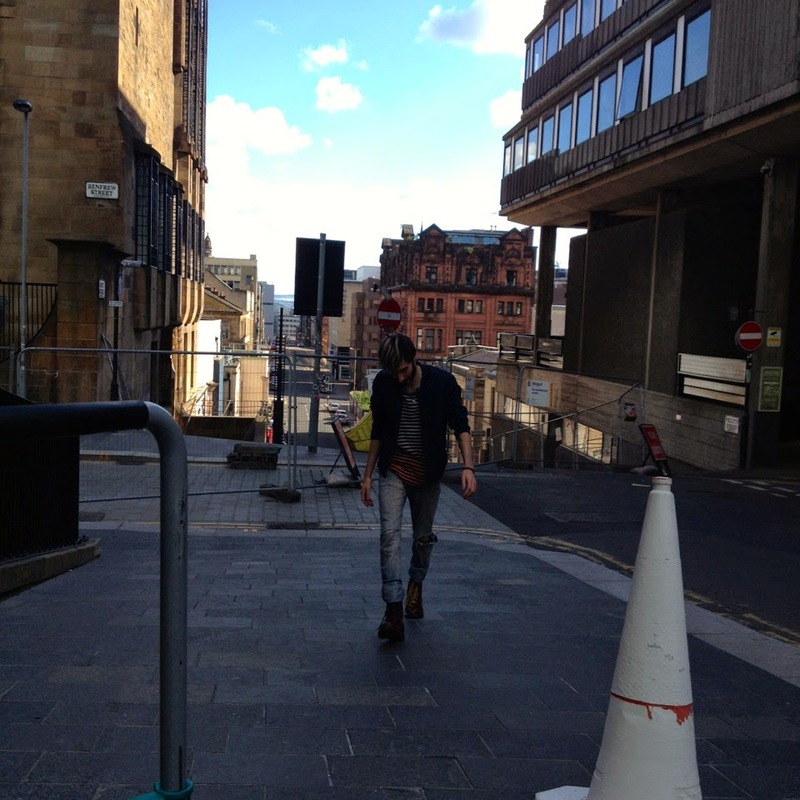 Glasgow is one of my favourite shows. 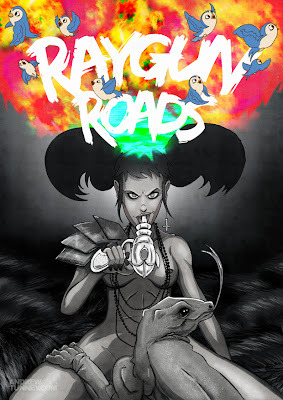 They were the first readers to fully embrace Raygun Roads, way before it became an indie hit. I'm beyond excited to show them my new jam before anyone else, and hang out with such a great crowd. The last week or so has seen everyone work like true champions in order to get Raygun Roads ready for consumption. The book is currently with Stuart & Sharron Gould of UK Comics and bound for its launch at the Lakes International Comic Art festival in Kendal next week. Having heard from Julie how swept off their feet everyone's become with this show I'm convinced it's going to be something special and the hard work gone in will pay off. I'm also incredibly proud that the element of the festival I was privileged enough to help shape in a very small way, the Comics Clocktower, is going to be open to the world! Without further ado, here are the details of my appearance at the show. You can find me all weekend on the 1st Floor TABLE 53 between some of my favourite people in the world, Orbital Comics, and Andrew Tunney who has produced this brilliant limited edition Raygun Roads print, which will be available to purchase all weekend. Countryside Comics event w/ Lizzie Boyle of Disconnected Press. Myself and the wonderful and horrendously talented writer/editor Lizzie Boyle will be discussing a broad spectrum of topics in this event on Sunday: artistic work in the context of its geographical point of origin; magic and the otherworldly and how many stories of this kind are couched in a remote or countryside setting; distribution and location in small-press comics; isolation and creativity; history and relevance, and . And we'll probably talk a lot about ourselves and our own work. 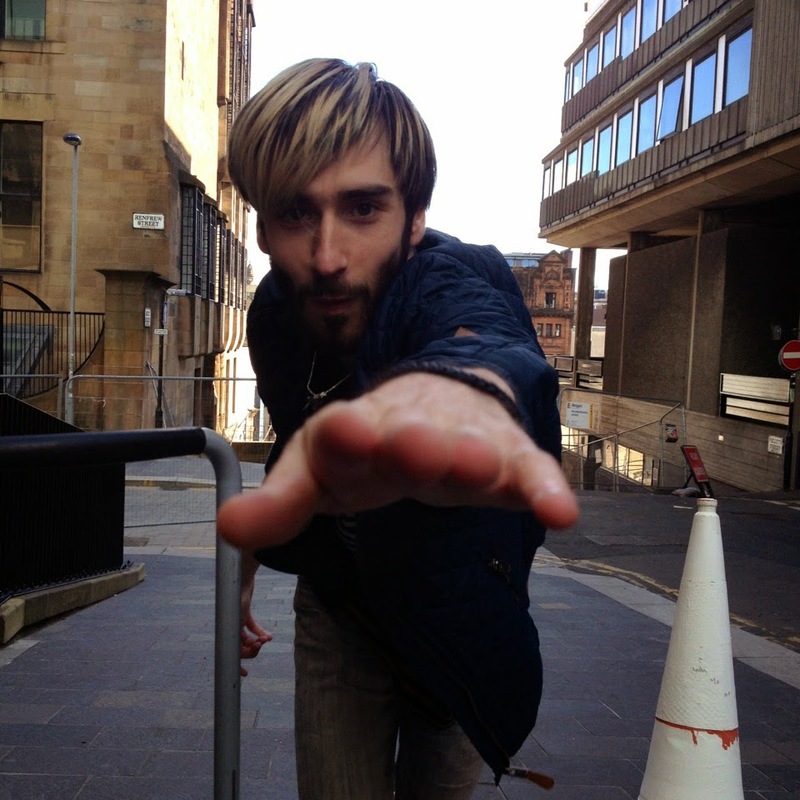 Just 'coz. There are still some tickets left for this event so if you fancy hearing us wax lyrical, give the Brewery box office a call or order online. If they'll have me I also plan to drop by the Accent UK and Disconnected Press tables to sign copies of 'Who On Earth Was Thaddeus Mist?' and Disconnected Vol. 3 respectively, the latter of which is available for the first time at the event. A flying visit before I hit the trail back to London. 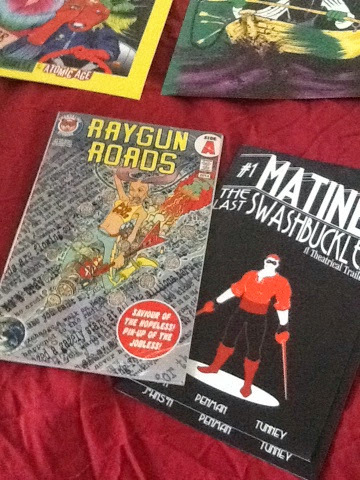 Store-owner Tommy has always been super supportive of my stuff so will be the first to receive copies of Raygun Roads. I'll be scribbling between 11-12 so if you're stuck for something to do after the festival drop by before disbanding across the country. Imagination Station is a fantastic comic store to visit if you haven't done so yet. Hope to see many friends old and new over the course of the weekend! My sincere thanks to Paul and Richard for taking the time to read and write about the book in such depth and detail. 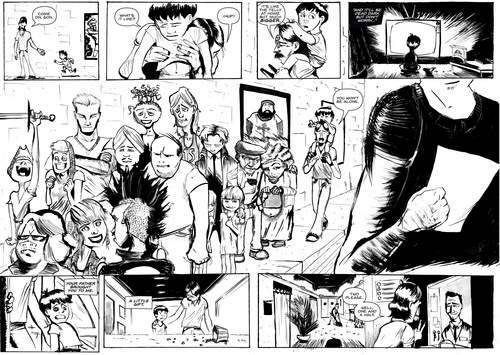 If you'd like to get hold of a copy, the book is available at Travelling Man Newcastle, Imagination Station Carlisle, Orbital Comics London, or from the Accent UK website. Cartoonist. 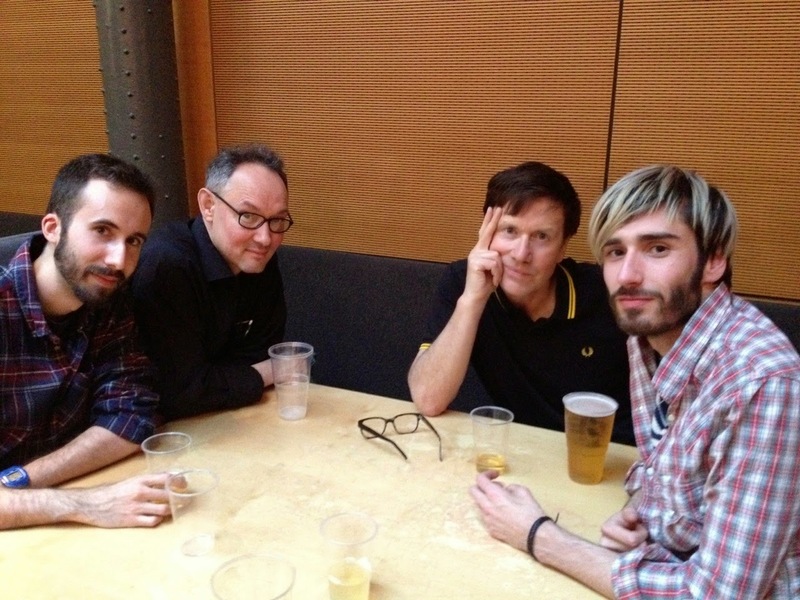 Comics Writer. Co-Founder Changeling Studios.